Bone-specific enzyme, ALP, increases over 630%, as indicated in the preclinical research. Vicki Kindy, an evidence-based healer, today released research results from preclinical trials on the beneficial impact of biofield energy healing treated Vitamin D3 on the strength and health of bones. Over 250% increase in bone mineralization. These results suggest benefits for improved calcium and phosphorous absorption levels in bones, which can lead to strong and healthy bones, and ultimately boosts quality of life. This energy medicine treatment may have the potential to provide beneficial effects on anti-inflammatory, anti-aging, anti-stress, anti-arthritic, anti-osteoporosis, anti-apoptotic, wound healing, and antifibrotic challenges. Overall, this biofield energy treated supplement presents a powerful alternative nutraceutical to combat Vitamin D3 deficiency, and has the potential to improve bone mineralization and calcium absorption, while combating a wide range of adverse health conditions such as cancer and certain autoimmune disorders. The research further suggests that this alternative holistic therapy may also be useful for the management of various bone-related disorders, with a safe therapeutic index. Some diseases include such as osteoma, rickets, low bone density and osteoporosis, osteomalacia, Paget’s disease of bone, bone and/or joint pain, osteogenesis imperfecta, increased frequency of fractures, deformed bones, chondrodystrophia fetalis, and other bone diseases that are caused by poor nutrition, genetics, or problems with the rate of bone growth. Kindy provided this Biofield Energy Healing Treatment remotely from the United States while the test samples were in the research laboratory of Dabur Research Foundation, near New Delhi, India. The Biofield Energy Treatment was administered for 5 minutes through the healer's unique Energy Transmission process, remotely to the test samples under laboratory conditions. In this study, Kindy never visited the laboratory in person, nor had any contact with the test item and medium. The National Center of Complementary and Integrative Health (NCCIH) has recognized and accepted Biofield Energy Healing Treatments as a complementary and alternative medicine (CAM) health care approach in addition to other therapies, medicines, and practices. CAM therapies have been practiced worldwide with reported clinical benefits in different health disease profiles. Human Biofield Energy has subtle energy that has the capacity to work in an effective manner. This energy can be harnessed and transmitted by the gifted into living and non-living things via the process of a Biofield Energy Healing Treatment or Therapy. 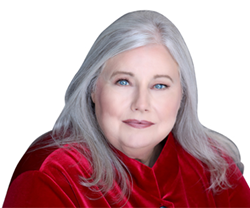 Vicki Kindy is an evidence-based energy healer, whose life transformed in 2015, when she was introduced to Guruji Mahendra Trivedi, founder of the Trivedi Effect® and Trivedi Global, Inc. She knew immediately that Guruji Trivedi represented the truth she was seeking in the world and that he would become her mentor and guide. Through Guruji Trivedi's Daily Blessings, she was able to access her Divine gifts, and become a conduit for Divine Energy. Kindy uses her gift to help optimize the full potential of people, plants, and animals. Through her association with Guruji Trivedi, Kindy participated in scientific experiments where her ability to harness and transmit this healing energy was tested, measured, and validated. The results suggest benefits and improvements in overall health and quality of life. Guruji Mahendra Kumar Trivedi, the founder of the Trivedi Effect®, is on a mission to usher in a new era that integrates science, spirituality, and consciousness to vastly improve the human condition and benefit humanity on a global scale. To date, more than 250,000 people worldwide have benefited from the Trivedi Effect®. His organization, Trivedi Global, Inc., is collaborating with globally renowned product research and development organizations to bring to market proprietary products and therapies in the areas of nutraceuticals, pharmaceuticals, and more. Alice Branton, CEO, Trivedi Global, Inc., recently spoke on the impact of the Trivedi Effect® at the Entrepreneurship Club of the Harvard Business School, Nasdaq, Microsoft, and Coca-Cola. She also appeared on more than 35 network television news shows in the last year including ABC, NBC, FOX, CW and more. Dahryn Trivedi, a prodigious spiritual leader, young entrepreneur, inspiring speaker and paradigm-shifting scientist also joins in the mission. The Trivedi Effect® is an evidence-based phenomenon in which an individual can harness inherently intelligent energy from nature and transmit it to living organisms and non-living materials, anywhere in the world through thought intention, to significantly enhance potency and beneficially alter their characteristics and behaviors through transformation at the atomic, molecular, and cellular levels. The Trivedi Effect® has been tested, measured, and validated in over 4,000 scientific experiments globally, by world-renowned scientists and research institutes using the rigor of internationally accepted models of scientific research with the most sophisticated technologies available on this planet. Challenging the known frontiers of science, this research has resulted in over 350 publications in major international peer-reviewed scientific journals with over 4,000 citations. These publications are available in over 3,500 universities internationally including the prestigious Ivy League Universities, as well as, the National Institutes of Health (NIH). This press release contains forward-looking statements. Forward-looking statements involve known and unknown risks and uncertainties, which may cause actual results in future periods to differ materially from stated results. Readers are cautioned that forward-looking statements are not guarantees of future performance or events and, accordingly, are cautioned not to put undue reliance on forward-looking statements due to the inherent uncertainty of such statements. Statements in this news release that are not purely historical are forward-looking statements and include any statements regarding beliefs, plans, expectations, and orientations regarding the future. Often, but not always, forward-looking statements can be identified by words such as “may”, “will”, “should”, “would”, “expect”, “intend”, “plan”, “anticipate”, “believe”, “estimate”, “predict”, “potential”, “seem”, “seek”, “future”, “continue”, “appear”, or variations of such words including negative variations thereof, and phrases that refer to certain actions, events or results that may, could, would, might or will occur or be taken or achieved.